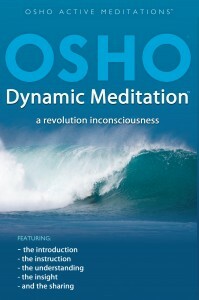 OSHO Dynamic Meditation is an Osho Active Meditation and a revolutionary meditation method for contemporary people. Developed by Osho, this meditation has transformed the life of millions of people providing a special environment to experience totality and transformation, including a special space to consciously go mad, allowing yourself a space to come in contact with strong emotions like anger and fear. This process is a deep cleaning of your unconscious and a refreshing workout for body and soul. The meditation lasts 1 hour and is in 5 stages supported by specifically designed music. It guides us from high activity to an experience of absolute silence. This pay-per-view service by YouTube is currently available in: USA, Canada, UK and Japan, other countries to follow. $0.99 / 7 days. To watch this Pay-Per-View video you need to pay via Google Checkout. Video Location at http://www.youtube.com/watch?v=HtgaZS1fh-A. Also available as DVD. 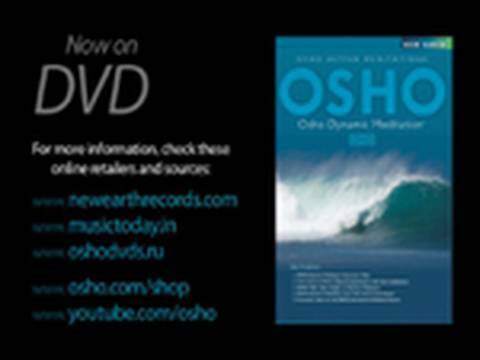 This entry was posted in Osho, OSHO DVD, OSHO Video (rental). Bookmark the permalink. healing & up-liftment of body,mind n soul..
a big thank u OSHO! !